Auto Insurance Q & A – How Is My Telematics Data Used? For those of you who have been with us for a while you’ll know that here at Insurance Buddy, we suggest the use of telematics as a way to get cheaper car insurance rates. If you’ve never heard of telematics, it’s essentially a device that tracks your driving habits, such as how much you drive and what time of day you do most of your driving, as well as other driving habits such as acceleration and braking. 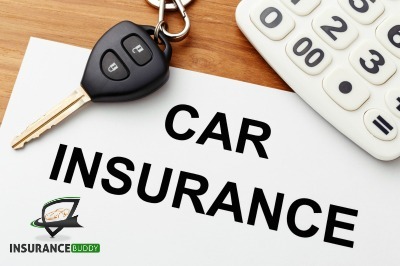 Insurers use this information to determine the car insurance rates you will pay, which is why it is also referred to as usage based insurance. And there are definitely savings to be had. (You can learn more about telematics here). How is telematics data used? The Financial Services Commission of Ontario (FSCO) allows for insurers to use the data gathered from telematics in managing claims as well as preventing fraud. So not only does telematics provide insurers information about driving habits, allowing them to determine if a driver is low-risk and thus eligible to receive lower rates, it can also share important details in the event of an accident, such as where it happened and how severely the car was damaged. This can help speed along the processing of claims and associated costs. The FSCO is very clear that any data gathered from usage based programs “should not result in the unreasonable delay in, or resistance to, the fair adjustment and settlement of claims.” (Source: Insurance Institute of Canada). They also state that this data should only supplement the claims process, not replace standard practices for claims. Canadian Insurance Top Broker posted a discussion with lawyers in regards to the topic and is a good read if you are concerned. You can bring these questions to your insurance provider if you have hesitations about how your data is being handled. You can also view the full bulletin on usage based insurance from the FSCO here. Some other possible reasons for not using telematics are not understanding what kind of data is gathered and not understanding the benefits of participating in this type of a program. For more on that check out our post here. ~ Canadian Underwriter: Are consumers warming to telematics? ~ Canadian Insurance Top Broker: Telematics: Who Owns the Driver’s Data? Considering how much car insurance costs here in Ontario, it’s no wonder we’re willing to do whatever we can to get cheaper rates. If, however, you’re been avoiding telematics because of your concerns about data, we hope that this post has helped to shed some light on the topic. If you have any further questions at all about telematics and what it can do for your car insurance rates, please don’t hesitate to reach out to our team. We’re here to help!